Sorry. I just had to use that title again... though, damn, I feel old every time I think of how old that film is. 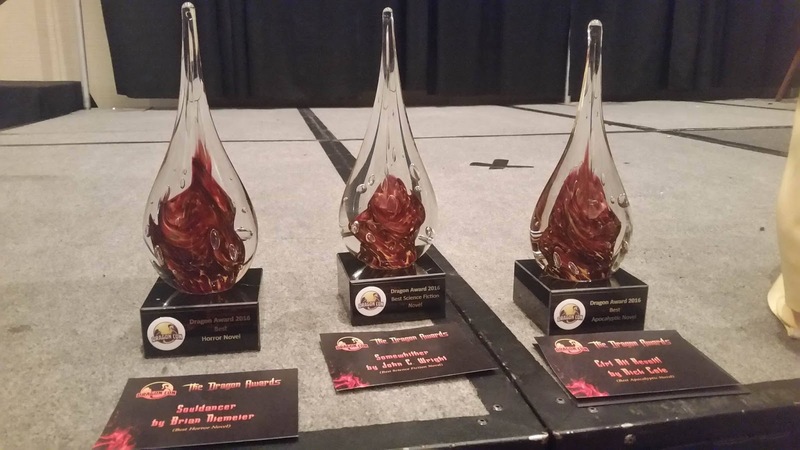 The Dragon Awards are the end of the month... July 24th, to be precise. Which means they're due in a week. By now, if you've been here, you know what's going on, but a fast recap: Dragon Con is one of the biggest SFF conventions in the United States. Held in Atlanta, it hosts a minimum of 60,000 people each year -- at least, that's what they tell the fire marshal. No, that last part? Not even kidding. I have, of course, posted Dragon Con reports, so many that if you click the tag DragonCon, you'll see all of my reports. Set to Kill may or may not have some slight similarity to DragonCon. It's a murder mystery that takes place in Atlanta, at a place called WyvernCon, in the middle of a political war about Tearful or Hydrophobic Puppies versus Puppy Punters from traditional Big Publishing. Obviously, this book has no similarities to real events. Yes, I did have to use that line as well. The Dragons give out awards by genre, and they do not go by calendar year, but from the start of July to the end of June. Yes, yes, I know, "Shut up, Declan. Are you going to do the damn post already?" I will. Just please note that I am saying that these are my picks. These are not my bets. If you want to see the votes of OTHER PEOPLE, I have a few at the bottom, but in case you find them more interesting. Yes. It's time for me to actually say what the Hell I'm voting for. We'll see if anything is going to happen with it. Best Science Fiction: Escaping Infinity: Richard Paolinelli. 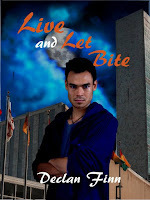 I reviewed this book, and it was awesome. This is my candidate. This is also the candidate of Jon del Arroz. So this should tell you it's not just me. 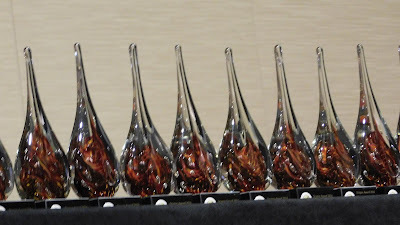 Best Fantasy Novel: Murphy's Law of Vampires. Yes, I'm voting for myself. Why? Because the last fantasy novel I remember reading is JCW's Iron Chamber of Memory... which isn't eligible. As for other candidates, I have some suggestions at the bottom, so keep reading. YA: Rachel and the Many-Splendored Dreamland, by L. Jagi Lamplighter. I've only read book 1 of Jagi's series, but I've liked enough of it to conclude that I'd suggest people take a look at this before voting. Richard confirms this one. As does Jon del Arroz. MilSFF: Jon del Arroz would like me to vote for his Star Realms: Rescue Run, instead of his For Steam and Country.... Sorry, Jon, didn't read it, won't vote for it. I'm going to do John Ringo, Monster Hunter Memiors: Sinners. Best Alternate History: I finally read Lou Antonelli's Another Girl, Another Planet. It's awesome. It's also reviewed by me on this blog, and maybe one or two others. Best Apocalyptic: I hate this genre. I hate it, hate it, hate it. I co-wrote one, so I'll say Codename: UnSub. Otherwise, I wouldn't bother. I can say that The Injustice Gamer really liked this one. SFF TV series: Grimm. It's the last chance for the show. SFF Movie: Doctor Strange. Because Cumberbatch. Video Game: Pass. I have no thoughts on this one. I literally only started Dishonored. As for the rest .... I got nothing. However, remember, other people have lists, so if you feel you need to fill in every category, these folks have some thoughts for you. And there are just some of the other people I've suggested nominating in the past, and are probably eligible in other categories. So if you don't like my thoughts, about about other people. Brian Niemeier, The Secret Kings: Best SF / MilSF? Keeping the Faith, by William Lehman: Best Fantasy / Best MilSFF? Murphy's Law of Vampires: Best Horror / Fantasy / MilSFF? 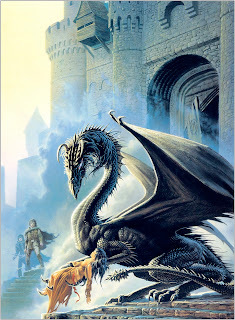 Live and Let Bite: Best Horror / fantasy / MilSFF? Cadain's Watch, Daniella Bova: Best Apocalyptic / Alternate History? 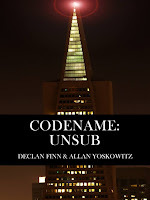 Codename: UnSub, Yoskowitz, and Finn: Best apocalyptic / MilSF? Enjoy. 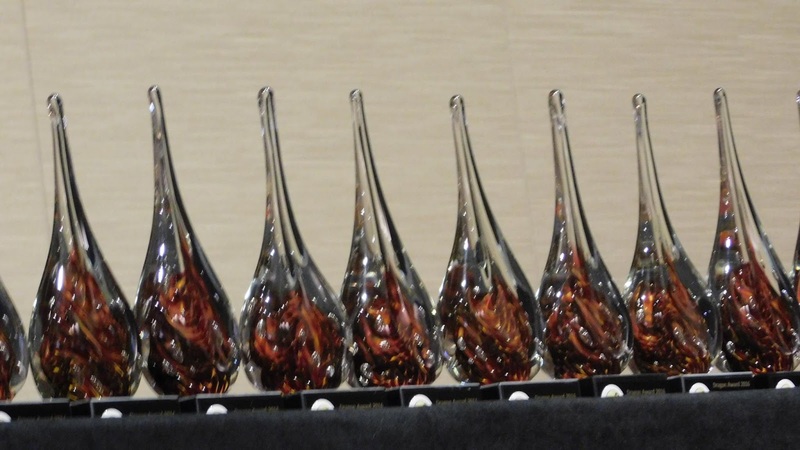 CLICK HERE TO NOMINATE IN DRAGON AWARDS NOW. THIS IS THE LAST DAY.